Autumn has well and truly arrived, bringing with it cooler temperatures, shorter days – and dry, dull skin. If you enjoyed soaking up the sun over the summer, your complexion is probably paying the price. Common post-summer skin concerns include dullness, dehydration and hyper-pigmentation. Less fresh air, high central heating and stodgy autumnal comfort foods often exacerbate the situation. Luckily, there are plenty of ways to combat dull skin and restore your natural glow. Targeted skincare products, combined with advanced aesthetic treatments, are a great way to repair any damage and prepare for winter. Gentle but thorough cleansing is crucial. There is no point lavishing time and money on fancy lotions and potions if you’re applying them to dirty skin. Proper cleansing, twice a day, is the first step to combat dull skin and achieve a healthy, glowing alternative. And if you’re serious about complexion perfection, double cleansing each evening is a must. There are lots of different ways to double cleanse and many different cleansers to choose from. But here is where you wave goodbye to wipes. They simply do not clean skin effectively. Instead, they smear around whatever’s already on it (make-up, dirt, sebum). Treat your dull skin to a proper cleanse with a balm, milk or cream and you’ll see a difference in days. The first cleanse removes makeup and SPF products, the second gets your skin properly clean. Two fast, gentle cleanses are more effective than one long one, and much kinder to your complexion. You’ll also need to cleanse in the mornings, but once will be enough. Make sure you remove your cleanser properly, ideally with a clean, warm flannel. Use a fresh one every day. Performed correctly, exfoliation is your skin’s secret weapon if you’re going for glow. The right method (and product) will leave your complexion looking and feeling smooth, soft and refreshed. Overdo it, however, and you’ll end up looking red, flaky and sore. They are two key types of exfoliation: chemical and mechanical. Sun exposure isn’t generally recommended after either form. This means that the cooler autumn months are a great time to explore the different exfoliation options available. If you think your dull skin could benefit from some professional expertise, consider booking a mechanical microdermabrasion treatment. It’s a great way to remove daily build-up and dead skin cells. 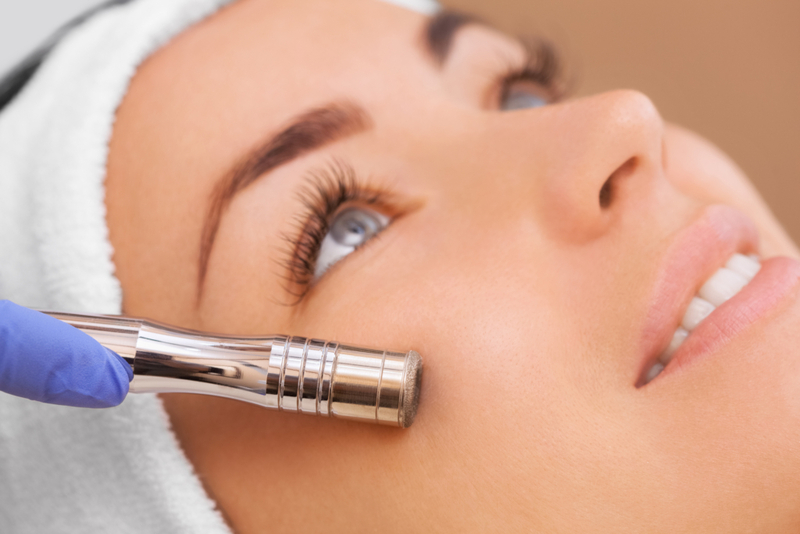 Microdermabrasion can clear pores, prevent congestion and boost cell renewal, leaving you looking radiant and refreshed. Another great way to introduce physical exfoliation to your routine is with a cleansing brush such as a Clarisonic. Or choose a gentle scrub with fine grains (not plastic microbeads). Chemical exfoliants can also smooth and brighten your complexion. They might sound scary, but acids (in toner form) keep your skin fresh and prep it for what comes afterwards. There are thousands to choose from, and several different types of acids involved. For example, Pixi Glow Tonic uses glycolic acid (an alpha hydroxy acid) to buff away dead skin and impurities. Other brands favour salicylic acid, or BHA (beta hydroxy acid). 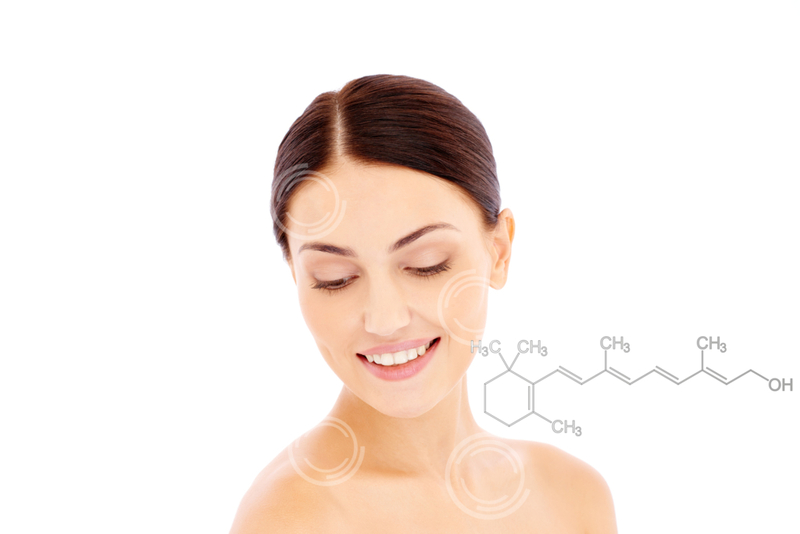 If your skin is excessively dull, a professional chemical peel could be the solution. This basically involves brushing liquid acids onto your face, to exfoliate, regenerate and rejuvenate the skin from deep within. There are many different strengths to choose from, so they can be tailored to different skin concerns. And they aren’t just limited to the face. 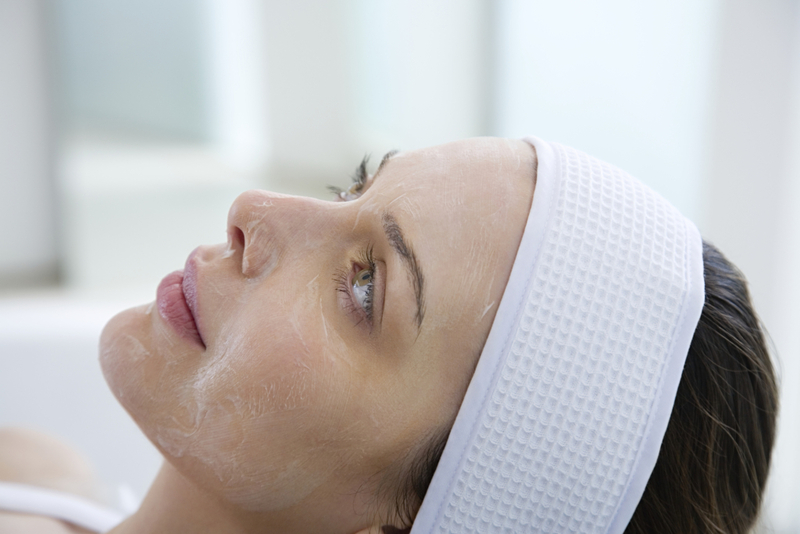 Chemical peels can be used on other areas such as the neck, back, hands and décolletage. While it’s not an exfoliant per se, retinol is a powerful ingredient that can help you get your glow back. An antioxidant derivative of Vitamin A, retinol speeds up cell turnover and promotes skin renewal. It also improves skin texture and tone. There are thousands of retinol products on the market, so choose wisely. It is possible to have too much of a good thing, especially if your skin is sensitive. Start slowly, with low concentrations, applied every second or third night. And make sure you use an SPF during the day (even throughout the winter months) as retinol can cause photosensitivity. Many people mistakenly shy away from facial oils, especially if they have oily skin. However, they are a great way to help boost your natural glow. Dull skin is usually dehydrated too. Facial oils support the skin’s natural moisture barrier, essential for a healthy, hydrated complexion. Choose a product with plant/essential oils that will nourish skin and banish dullness. The right oil will not make your skin look shiny/greasy. When you apply, remember ‘less is more’. One or two drops is usually all you need. On application, facial oils deliver instant radiance and luminosity, particularly if massaged in. They are also extremely versatile. You can use facial oils in the morning or at night. Many products can even be mixed with moisturiser for an extra nourishing boost during the harsh winter months. However, it’s worth remembering that healthy, glowing skin starts from within. All the products and treatments in the world won’t make a sustainable difference if your lifestyle is lacking. If you’re serious about ditching dull skin, you need to eat healthily, stay hydrated – and don’t skimp on sleep! Don’t want to grow old gracefully?! Then read our beauty editors’ blog post on anti-ageing treatments by clicking this link here!